First I would like to thank you for purchasing my How To Become An Influencer exercises. I have been professionally creating content for two years, and I'll be sincere if me a chef who was spending more than 10-16 hours a day in the kitchen can do this I do not doubt at all that you can also do this professionally or to earn a little extra on the side. HOW TO BECOME AN INFLUENCER To become an Instagram influencer, the first thing you need to do is find a niche that suits your personality. This needs to be something you’re passionate about. Something in which you have a good deal of knowledge and interest. Just because someone else is doing something and is successful, doesn’t mean you should too. For example, let’s say you’ve seen that people who post about fitness on Instagram have more followers. Should you too start doing the same, even if you don’t have the slightest interest or expertise in it? Definitely not. Remember, on social media; you can’t make it if you fake it. So pick a niche that you’re genuinely passionate about. Maybe you’re great at DIY crafts? Alternatively, perhaps you love food, and have a great deal of interest in different types of cuisines? Maybe you’re into fashion and are always aware of the latest styles and trends? Your Instagram posts should reflect whatever genuinely interests you and not some random stuff. 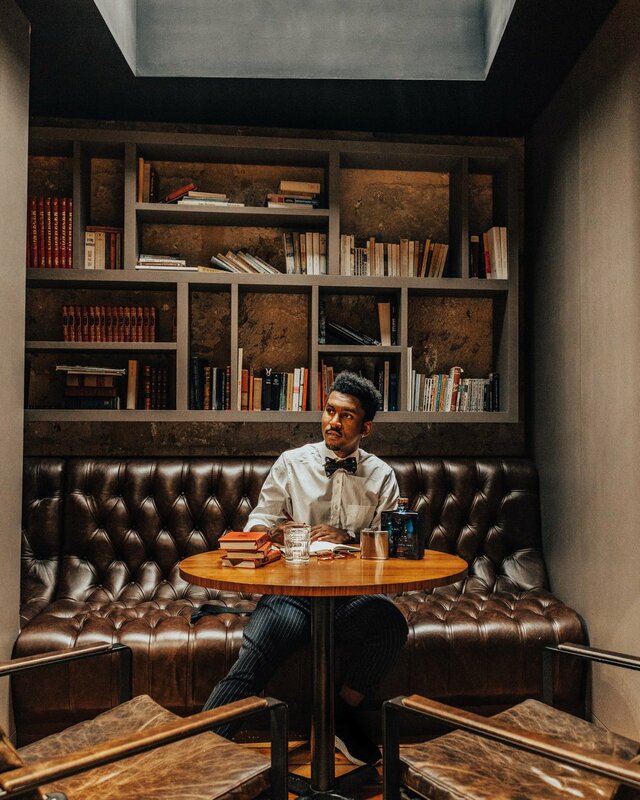 However, if you are interested in a combination of different things, like me for whose's niche is fashion, food, travel, and lifestyle, you can post a right balance of content that relates to more than one of these topics in the same post. Example, in this picture, I am conversing with blogger Carl Thompson and drinking a Haig club cocktail, and we are both dressed in fabulous outfits. So, in this post, I would tag and hashtag the brand of the outfits we are both wearing, Haig Club the drinks were are drinking, the location or the organisers of this event and the photographer who took the photo. This will increase the chances of your pictures being shared or uploaded on different accounts which will increase your exposure. Once you have decided on your niche, you need to start fine-tuning your Instagram account. The very first thing that you need to focus on is creating a bio that immediately catches people’s attention. It should talk about your story in a way that engages people. Remember, it’s one of the first things that a brand or a potential followers sees on your account. So if you want to become an Instagram influencer, make it noteworthy. Influencer and CEO Paula Pötry has a compelling and attractive Instagram bio. In the name field, she has cleverly included “Content Creator,” so that her profile shows up for such searches. And in her bio, she tells what she does and where she is located. Now, isn’t that noteworthy? If you think you can become an Instagram influencer just by sharing photos, you clearly have it all wrong. The captions that go along with those photos are as important as the photos themselves. Use them to tell your stories and connect with your followers on an emotional level. Give them a reason to trust you, follow you, and engage with you. However, in your quest towards engaging them don’t forget to be genuine. Because that will be easily seen though. Instead, share your personal stories in a way that your audience finds interesting yet authentic. Check out this example of. You can see that the post has a pretty high engagement rate which means it was well-received by my followers. And brands attach much greater importance to engagement rate than the number of followers when they collaborate with influencers. This is one of the pre-requisites if you’re trying to become an Instagram influencer. Not only should each of your photos be visually-appealing but also adhere to an overall theme. This means that all of your photos in the feed should look good against one another. 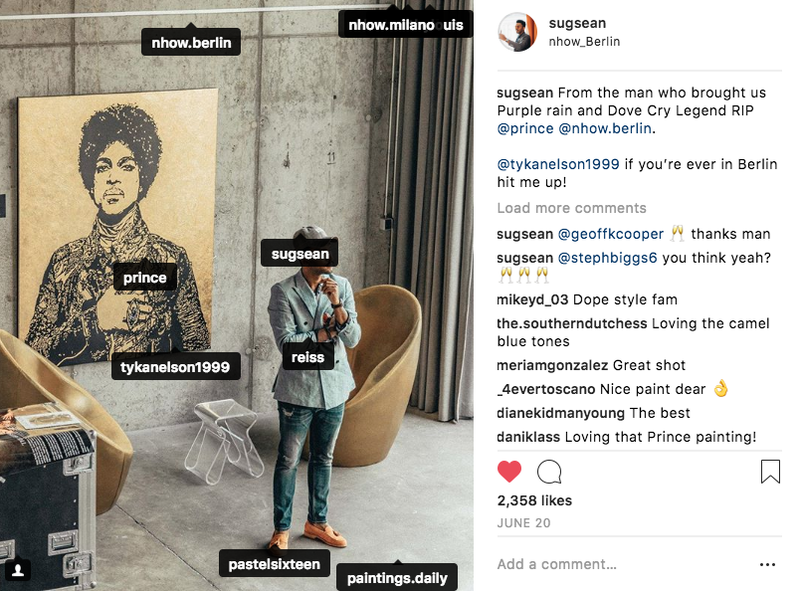 Many Instagram influencers follow a particular style of editing their photos so that the colour or composition is uniform. You can use tools like VSCO or Lightroom to edit your photos or just the built-in filters in Instagram. But make sure that your photos are taken in high-resolution and plenty of light to make them look really good. Check out how I keeps the tones uniform. This gives his Instafeed an incredible visual appeal and makes it look aesthetic too. Posting content consistently is another crucial prerequisite to become an Instagram influencer. Most influencers on Instagram post daily. However, some of them post a few times in a day or even a few times in a week. Studies have revealed that an increase in your content posting frequency can boost engagement rates. However, when you decide what your posting schedule needs to be, make sure that you choose wisely. Because it needs to be something you can stick to. Setting an unrealistic goal to which you cannot adhere will not help you in any way. If you find sticking to a schedule difficult, you can schedule your posts with tools like Planoly, Preview, or Ripl. These platforms allow you to create your content in advance and set the dates and times for posting. So you don’t need to do it yourself, but your content gets posted automatically. Preview is free for use and so is Planoly for 30 photos per month on a single Instagram account. Buffer allows you to schedule upto 10 posts for free across any 3 of your social accounts. Ripl offers subscriptions starting at $9.99 per month. Hashtags are important because they enable your content to be found by other Instagram users. Instagram allows you to use a maximum of 30 hashtags on a photo, and I recommend using max 8. But what kind of hashtags should you choose? Remember that hashtags having high search volumes aren’t necessarily good for you. Because high search volumes imply high competition too. So the chances of your post being discovered using those hashtags is bleak. Instead, choose hashtags that have decent search volumes that maximizes your chances of appearing in the top posts. Ideally, use a combination of hashtags varying in search volumes from above 10,000 to 1 million. But definitely, not more than a million. For example, this post by an influencer uses the hashtag #adventurecouple. This is the top post for this hashtag having search volumes of more than 44,000. Its also a good idea to personalise your own hashtag, here mine is #SugSean. This is what other accounts will use in the caption of photos shared of you on they instagrams. If you’re serious about becoming an Instagram influencer, you need to let the seriousness show. And nothing does a better job of doing this than having a business account. But what are the benefits of switching to a business account? The most important benefit is that with a business account, you get access to insights. You’ll be able to see not only your follower demographics but also which posts are getting better engagement. You will also be able to see the days and times which give you the best engagement. Follower demographics are very useful when it comes to pitching to brands for collaboration. Because numbers speak louder than your photos. The other advantage you get with a business account is the ability to run ads. You can promote one of your posts if you want, in order to get some additional engagement. Instagram Stories are probably the biggest thing right now on Instagram. More and more users are joining this bandwagon. In fact, more than 200 million Instagram users are using them every day. This makes them a perfect weapon to grow more followers and gain visibility. Even people who aren’t your followers, can discover you from Stories. By adding hashtags or location to Stories, you can be discovered by more people. And if you have 10,000+ followers, you can include an outbound link using a “swipe up” option on Stories. You can even tag others on your Stories and give a shout out to other accounts. This is not only a great way of building relationships but also growing your following. Because those accounts are likely to return the favor too. And this means you get more visibility. Social media is all about people and how you engage with them. Engagement is one of the most important factors to help you become an Instagram influencer. When someone comments on your photos, make sure that you reply to them. Also, return the favor by liking and commenting on their content. You can use the “Explore” option on Instagram to find content that you can engage with. Also, you now have the option of following hashtags so that relevant content shows up in your feed. There are actually two stages towards becoming an Instagram influencer. The first, of course, is to grow your followers organically and engage them. The second, and probably more important for some, is to make money as an influencer. So, once you have been able to grow your followers above a thousand and have decent engagement, start your outreach. The easiest way is to tag relevant brands on your photos to put yourself on their radar. Sometimes brands even feature such photos on their Instagram account giving you greater visibility. You can also send direct messages to brands you think would be relevant to your niche. Especially, if you have seen them collaborate with other influencers like you. Work on a pitch that talks about why you are reaching out and what you can offer them. I’m not saying it’s easy but you might be pleasantly surprised at the responses. Webfluential, TapInfluence, Buzzoole, Grin, InsightPool, HYPR, InfluencerBay, TRIBE to find and connect with relevant brands. Some of these platforms need you to have a certain number of followers to be able to participate in campaigns. This is a rookie mistake I’ve seen so many Instagrammers make to pave an easy road to success. Paid followers are no good to you. If you want to become an Instagram influencer and make money, organic is the way to go. Yes, I know it’s not easy and it certainly won’t happen overnight. But hey, there’s no easy road to success. Paid followers can be detrimental to your growth because these followers won’t be engaged enough. So your follower count will increase without any substantial increase in engagement. The result? It will affect your engagement rate big time. Thus reducing your chances of collaboration with brands. It’s true that you cannot become an Instagram influencer overnight. You will need to be patient and make sure to follow the above steps. It might take a few months, but trust me, you will definitely start seeing results. I’ve seen and helped quite a few individuals land brand partnerships within a few months of following these. And there’s no reason why you can’t do so as well. Can you think of any other tips to become an Instagram influencer? Let me know in the comments below. And if you’re looking for some personal guidance on becoming an influencer, get in touch with me now!